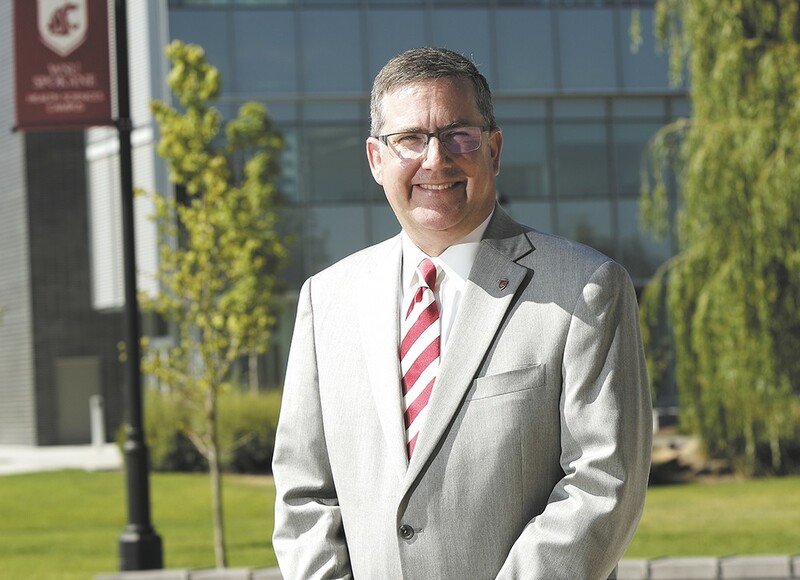 When it comes to leading a university, the most important aspect is building relationships, says new Washington State University President Kirk Schulz. But following the death of WSU President Elson Floyd in 2015, and the university having no president at the helm for nearly a full year, Schulz says there's some work to do on that front. "I think we've got some relationship-building to do with the local community," he says. Schulz came to WSU from Kansas State University, where he was president for seven years. Since his college days, he notes, the pressures of being a university president have changed. Presidents spend fewer years at universities, yet have more pressure to raise money, he says. He was attracted to WSU for three main reasons: The chance to build the second publicly funded medical school in Washington, called the Elson S. Floyd College of Medicine; the university's academic excellence; and the opportunity to work in a state that's committed to affordable education. But as Schulz started at his new job in mid-June 2016, he immediately had some thoughts about what the university needs to change. Mainly, it needs to adjust its spending habits. "We have been spending more money annually over the past couple of years than has been brought in, which is simply not sustainable," Schulz wrote in an open letter to the campus community. He says the university will reinstitute a formalized budget development process. He's also urged that the school build no buildings without a comprehensive funding plan in place, and that no new items are brought to the Board of Regents without a "robust financial analysis." Finally, the athletic department will need to reduce its annual deficit. Schulz says people misunderstood his message when these plans were announced. He was not trying to communicate that the university was in trouble, only that it will be more careful in its financial planning. "We are still going to be aggressive about moving the institution forward," he says. "But we will not have steelwork coming for a new facility if we have not identified every single dollar, and how we're going to do that." Schulz says another goal is for WSU — already a top-tier research institution — to become a top 25 public research university in the nation by 2030. He's also looking forward to recruiting the first class of future physicians who will attend the Elson S. Floyd College of Medicine in 2017. "My hope is when we have that first graduating class of medical students from Elson Floyd's School of Medicine, that he would say, 'This is what my vision is for medical education in Washington state,'" Schulz says. While Schulz has lofty goals for the university, he's says he's excited to get started and continue to build relationships with the WSU community. He insists he's here to stay. "I have no desire to serve an additional presidency beyond Washington State," he says. "I think if you ever reach a point where you can't put 100 percent energy into the job 24/7, then you should do something else."